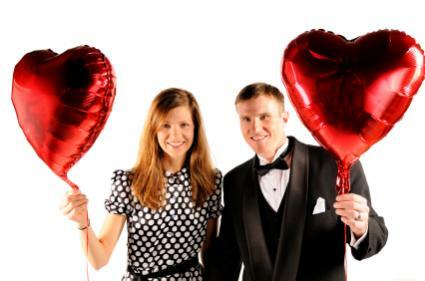 Plan a Valentine's party where singles can mingle! A Valentine's Day party is just the ticket for all you romantics out there who are looking for love or to rekindle an old flame. This party also offers another way to get people together for food and fun activities. For those inclined to do so, it is also an excuse to give away cards, candy, gifts and maybe a bit of affection to someone you've had your eye on. Use these great ideas to make it a fun and successful event. Move your party in the right direction by starting with a themed idea for this romantic holiday. This adult party theme is a great idea for singles. All your friends should bring someone with them who is unattached and that they are not romantically attracted to. At the party, there may be a good chance for sparks to fly (or not). Keep things casual and fun by having this event at your home, restaurant or park. Send out Valentine themed invitations with instructions to bring a platonic friend. Hopefully love will bloom! Decorate your home or event room with sheer silky cloth, draped from the ceiling to look like a tent, using One Thousand and One Arabian Nights as your guide. For fun, invite all your guests to dress in Arabian style clothing. Have a buffet with Mediterranean style food and hire belly dancers for entertainment. Remember when you were a kid and were anxiously waiting for the delivery of cards and candy into your Valentine's box at school? Bring the fun home, to a pizza place or a park (weather permitting). Have the kids help you out by creating the invitations with construction paper, stickers, glitter and confetti. 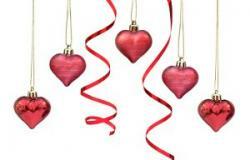 Decorate with some festive heart shaped streamers and balloons. Get Valentine themed plates, cups and napkins along with a heart shaped tablecloth for added fun. When the party begins, have some games planned to keep the kids entertained. Good choices are a Valentine themed ring toss, scavenger hunt, or decorating contest. With all the serious political correctness going on in the work environment, you have to be a bit careful and sensitive. To liven things up without offending anyone, keep it simple by adding a couple of Valentine themed decorations and filling a few heart shaped dishes with candy or cookies. To add a bit more festivity, add a couple of red balloons to add more color. Buy fun Valentine's Day party decorations. No matter who will be attending your party for Valentine's Day, hearts and flowers are always appropriate. Find a theme that suits the occasion as well as the guests, with or without a touch of romance. As long as the party is lighthearted and fun, guests of all ages and marital statuses will have a great time.